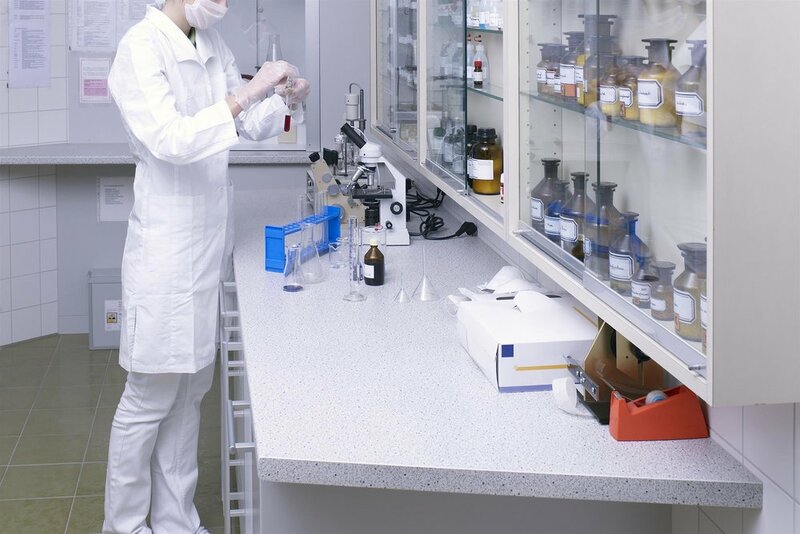 There are several different things you need to consider when you are purchasing lab furniture and equipment for a new or existing lab. Unlike traditional office-type furniture and equipment, which is not resistant to chemicals, spills, and other materials you use in a lab environment, the furniture and equipment you select will need to be durable and meet the demands of your type of work. Aside from the various demands the equipment and furniture will have to withstand, the next things to consider are both your current and future needs. Just because you are doing one type of work today, this does not mean your lab’s objectives and work will not change in the future. Take a moment to brainstorm with your staff to consider the potential future needs so you select the most appropriate pieces. Now that you have a general idea of your current and future equipment and furniture needs, you are ready for the next step: deciding how the furniture and equipment are going to fit into the space you have available. It would be unfortunate to order and install a huge lab workbench and not have room for other vital equipment and furniture. The best way to ensure all of the new equipment and furniture will fit correctly is take measurements. A good rule of thumb is to measure everything twice and have someone also take the measurements twice to guarantee they are correct. Even being off an inch or two could affect the whole layout of the lab and how pieces are going to fit. • Aesthetics – The general appearance of the lab is sometimes important in certain environments, so you will want the pieces to complement each other and not look out of place. • Warranty – Ask the manufacturer or supplier to provide you with a copy of the warranty terms and conditions ahead of time so you can understand what is covered, what will void the warranty, and other such details. • Ergonomics – You need to verify the equipment and furniture provide good ergonomics for your employees. You do not want them hunched over a table or not be able to sit or stand correctly, as this can lead to accidents and injuries. • Unique Uses – Are there any special functions the equipment or furniture will need to provide which could be of benefit to your lab? For instance, pullout drawers or shelves underneath a lab table could be beneficial and provide extra storage areas and work surface extensions. • Price – Price should never be your first consideration. If you are only replacing a few pieces, then the price is not always a big concern. On the other hand, for entire lab setups, then prices should be considered, using various analysis tools like the return on investment, the total cost of ownership, and the total benefits of ownership. For assistance in selecting the right furniture and equipment for your lab, lab planning, and installation, please feel free to call Genie Scientific at 800-545-8816 today!